The American banker James Rickards, analyzes the factors involved in the rise in the price of gold and predicts that it will be a boom year, in that sense, in the context of an impending global economic slowdown. Estimate an increase in their value including above ten thousand dollars. The dollar, North Korea, China or US President Donald Trump are some of the factors that could cause a new and prolonged era of growth for gold, in terms of its price, reaching values ​​of up to ten thousand dollars per ounce. This is stated by the American banker and precious metals expert Jim Rickards, in an interview with Kitco News, according to the RT portal. "This is the year of gold, we are in the third bull market of my life," said the specialist, who estimates that the current weakening of the dollar, the predicted trade war between Washington and Beijing, and certain hypothetical scenarios such as a nuclear war between USA and North Korea or the removal of Trump as president, would be the main drivers of the price of gold. 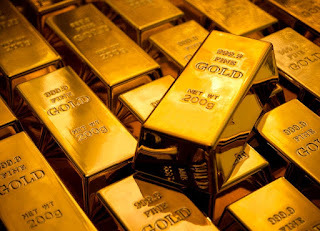 However, Rickards warns that a global economic slowdown is imminent, and believes that a boom in the precious metal would be accompanied by an increase in the prices of commodities. "All gold does is preserve your purchasing power, but if gold is at $ 5,000, and oil is probably at 400, and everything is double or triple, then you really do not have the advantage," he explained. Opinion contrary to that expressed by Christine Lagarde, director of the International Monetary Fund (IMF), who says that in this year the world economy could grow 3.9 percent, although without referring, in its analysis, to the price of gold. The value of gold has plummeted in recent days after having surpassed $ 1,370 last week, its highest in more than a year. The increase in the value of the metal occurred at the same time that the dollar fell to its lowest level in the last three years, after Treasury Secretary Steven Mnuchin declared the US is in favor of a weak dollar, which indicates that Rickards' predictions could come true.